I've probably mentioned this before, but David Morrell has a new novel scheduled for release on March 12. Its title is Scavenger, and while it isn't a sequel to his Bram Stoker winning novel Creepers, it does feature the same protagonist. I've probably mentioned this before too, but what the hell--I can't wait! I'm counting the days: 14! To liven things up around here, and maybe get you as excited as I am for Scavengers release, I'm going to reprint some old reviews I wrote for SFReader.com of Mr. Morrell's work. Maybe even post an original review or two as well. And so, here you are--enjoy! 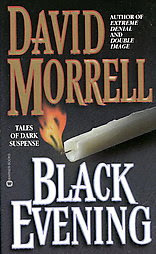 Black Evening, written by David Morrell (Nightscape), is advertised as a collection “of dark suspense.” These stories represent twenty years of his best short works. They are a departure from his novels in that they concentrate on the horror of fear, rather than international intrigue. The tales range from the supernatural to the more realistic. They are dark and frightening. The stories are personally, honestly and intimately, introduced by the author. He explains the story, how it was written and why it was written. The stories stand well on their own, but with the addition of the introductions, the sincere explanations, they seem to take on new life: the life of their author, and very much the life of their reader. Morrell created them, but as you read them they will be yours, exclusively and alone. Black Evening opens with the story “The Dripping.” It was Morrell’s first professional sale, and as he describes in the story’s introduction it was written shortly after he finished his novel First Blood. “The Dripping” is a story of loss. It is the story of a man who moves, with his wife and two daughters, into his childhood home. One evening he arrives home to a seemingly empty house, he calls out to his wife, to his daughters, but there is no answer. The only sound is constant and steady dripping. This story is horrifying. It, as are many of the stories in this collection, is written in first person and the narrator speaks with a sense of loss, fear and doom that adds to the gloomy terror that seeps through the narrative. It is the first story, but it sets the tone and mood for many of those that follow. “The Beautiful Uncut Hair of Graves” is odd because it is told in second person and present tense. I had never read a story written in second person that worked—the use of “you” to describe the protagonist always gets old and trite—until this story. The first few paragraphs were difficult, but once I found the rhythm of the prose it enveloped me. It is the story of a man who has quite obviously gone insane. His parents are killed in an accident and while he is going through their personal items he stumbles across an adoption contract. He suddenly questions everything: Were his parents truly his parents? Is he who he thinks he is? Is he even Jewish? The questions push him to find answers, but what he finds is dark and evil. What he finds changes everything, forever. “Orange is for Anguish, Blue for Insanity” is the best story in Black Evening, if not the best story David Morrell has ever written. It is the story of an art historian, Myers, who becomes fixated on the work of an artist named Van Dorn—a very close match to real-life artist van Gogh. Van Dorn lived his adult life in poverty, and in the end he went insane and gouged his eyes out. Myers is looking for a critical understanding of Van Dorn’s work. He decides to follow the same path as the artist, see the same scenery, and hopefully gain an understanding of the art. Myers is all too successful. He discovers the secret that blossoms in Van Dorn’s art, and the insanity, perhaps evil, that it holds. This story is haunting—it will stay in your mind for weeks. 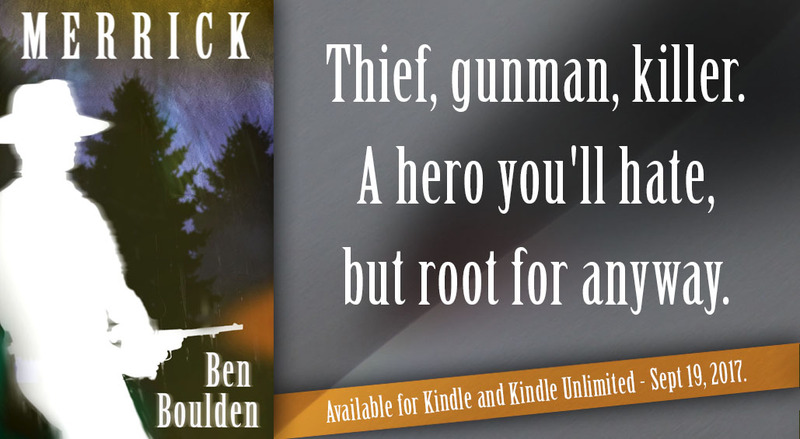 The images are perfectly rendered: the art is visual and keen, the characters are vivid and believable, and the insanity that permeates the story is thick and frightening. “But at My Back I Always Hear” is one of the spookiest and thoughtful stalker stories I have read. A female student stalks her literature professor. She claims that he is sending her psychic messages that he wants to sleep with her. He deals with her politely and sternly, but she won’t go away. The prose is so tight and swift that it feels like you are the professor. You can feel the mounting terror build with each scene. The impending doom is suffocating. The climax is horrifying. “Dead Image” is the story of a film writer and an actor who eerily resembles James Dean. He not only looks like the famous movie star, but as the story progresses, he begins to act like him as well. The actor’s behavior becomes erratic and reckless. He seems to be reliving the life of James Dean even to the point of racing, and crashing cars. This story is a haunting look at identity and loss. The ending is unexpected and illuminating. Like all of Morrell’s stories “Dead Image” will stay with you long after the last page has been read. Black Evening is not for the timid. The stories are rough, at times frightening, and always thoughtful. They pace the life of the author and explore his innermost fears. These fears give the stories a credibility—realism—that is often lacking in American genre fiction. They are images of the past, almost postcards from a dark, inner world of torment, anxiety and fear. This collection is a winner. The stories are superb and the author’s insights are well placed and thoroughly illuminating. David Morrell is a master of the modern story, and Black Evening is his primer of dark tales. Fumbling around Amazon.com a few days ago I found some great question and answer segments with Dean Koontz--he answers a few of the questions readers ask him, and then posts them on Amazon. One answer I particularly enjoyed was for the question does he (Koontz) purchase, or borrow from the library the books he reads? The correct thing, the courteous and moral and courageous thing, the wise thing, is to buy a book to read, buy a second copy to maintain in pristine condition in a vacuum under glass, buy a third copy to donate to the library, buy a fourth copy as a sign of solidarity with the author, and buy a fifth copy as an attaboy for Johannes Gutenberg, the inventor of movable type. In our library and at various other locations throughout the house, we have close to 40,000 volumes--even after I conducted a ruthless culling of the collection four years ago. To read the other Q&As go Here. I've been in a sentimental mood recently. I read an Executioner novel, watched Crimson Tide and even pulled my boxed-up books out to take a look at them. And I loved what I saw. It felt like going to a favorite bookstore and browsing, only the books were all mine, and I didn't have to pay for one of them. Well, I paid for them once. Probably. I've been in the mood for good old fashioned military fiction--the techno-thrillers of the mid to late-Eighties, and as I was going through my boxes and boxes of books I stumbled across Stephen Coonts' Combat #3--published in 2002. It is a collection of four novellas written by two old hands--at least they were writing technos when I was reading them--and two new writers. The collection is good, but not great. The first two stories make the read worthwhile. Harold Coyle's Cyberknights is a cool take on the future of warfare--a team of elite computer hackers do all the fighting across the ether of cyberspace. 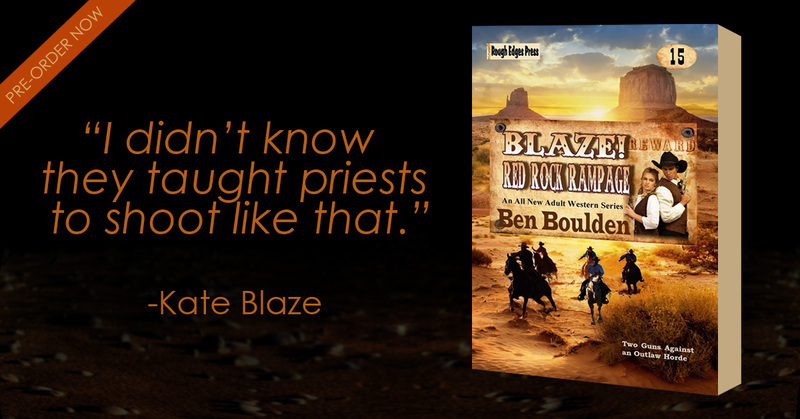 The story is fast paced, exciting and, at places, thought-provoking. It reminded me just a little of the cyberpunk science fiction made popular by William Gibson and company fifteen or so years ago. A cool story with a unique angle on the thriller. The best story in the collection is Ralph Peters' There is No War in Melnica. We follow Major Jeff Green--an observer in the Balkans--through a journey of genocide, deception and betrayal. This story gets at the heart of conflict--what it is, how it is, and maybe even touches on the why. It is one of the best military stories I have ever read. The characters are top-notch. They feel real, and their motivations are explored and examined if not completely explained. There is No War in Melnica is as close to pure literature as any war story I have read in the genre--it examines the human condition and shows us as wanting. The final two stories left me wanting--Cav by James Cobb is a great example of why I quit reading technos ten-plus years ago. It is full of techno-mumble, very little story and even less characterization. The storyline was bland, at best, and I lost patience some forty pages into it. Flight of the Endeavor by R.J. Pineiro was better than Cav, but still on the far side of good. It is the longest of the stories at just over 100 pages, but it easily could have been cut down to seventy or eighty. It started slow, and built even slower. At times it felt like a 3,000 page monstrosity. I didn't like it, or finish it. Read the first two, skip the last two, and you'll love Combat #3. I'm a big Richard Laymon fan. I wish I could say I have always been a fan, but unfortunately I didn't discover his work until shortly before his death in early 2001. I stumbled across a copy of his novel In the Dark and was blown away. I then quickly found and read everything I could get my hands on; which was quite a bit. Leisure Books is still publishing a couple older titles each year, but damn if I don't miss his new releases. He won the Bram Stoker award for The Traveling Vampire Show in 2001, and those first few titles I read hold a special place in my heart. A few of my favorites are: In the Dark, The Stake, Night Show, One Rainy Night, The Traveling Vampire Show, Night in the Lonesome October and Among The Missing. Richard Laymon intoriduced me to horror--his work showed me how powerful, insightful, and just how damn fun the genre can be. Because of his work I found the work of Jack Ketchum, Brian Keene, Tom Piccirilli, and so many more. Thanks Mr. Laymon. Thank you for the work, the pleasure and everything else. Brian Keene posted a touching essay about Richard Laymon, his career and his life. It got me to thinking, and is the reason I wrote this post. Go Here to read it. Several years ago a favorite bookseller recommended The Purification Ceremony by Mark T. Sullivan. I read it, and loved it. It's haunting scenes of ancient depravity, and its alluring and well defined mystery have stayed with me since. This past week I--finally!--picked up another of his novels, Ghost Dance, and it reminds me very much of The Purification Ceremony. Don't get me wrong--they are both very different novels. The stories are unique, but the style, power and atmosphere are very similar. I'm about halfway through Ghost Dance, and I'm already thinking about which Sullivan novel I want to read next. He's written seven, and all of them sound great. In my search I stumbled across his website, and he has written an intimate portrait of four of his novels: how they were written, why he wrote them, etc. His website, just as his fiction, is well worth the read. He hasn't released a new novel in nearly four years, and I hope he has something new in the works. Although it's not too bad to have five of his novels waiting out there for me to find; and a bunch of dusty old bookstores hiding them for me. One Sullivan title sounded particularly good to me--The Labyrinth. It's a mystery involving cavers and adventure, and it sounds damn cool. Hell, anything that takes place underground has to be cool. Right? Hard Case Crime has announced a new, never before published Mickey Spillane novel titled Dead Street. It will be released in November, 2007. Mickey died in July, 2006 and according to Hard Case Crime editor Charles Ardai he left one completed crime novel--Dead Street--and several strands of unfinished Mike Hammer novels. Rumor has it Max Allan Collins has been hired by Spillane's estate to finish the Mike Hammer novels. Spillane was the bestselling author of the Twentieth century--yes children, he even out sold Stephen King--and he is best known for his hardboiled Mike Hammer novels, which were made into a myriad of films and televsion series'. None of them very good. For 20 years, former NYPD cop Jack Stang has lived with the memory of his girlfriend’s death in an attempted abduction. But what if she weren’t actually dead? What if she somehow secretly survived—but lost her sight, and her memory, and everything else she had...except her enemies? Cool, eh? At least the cover art is. 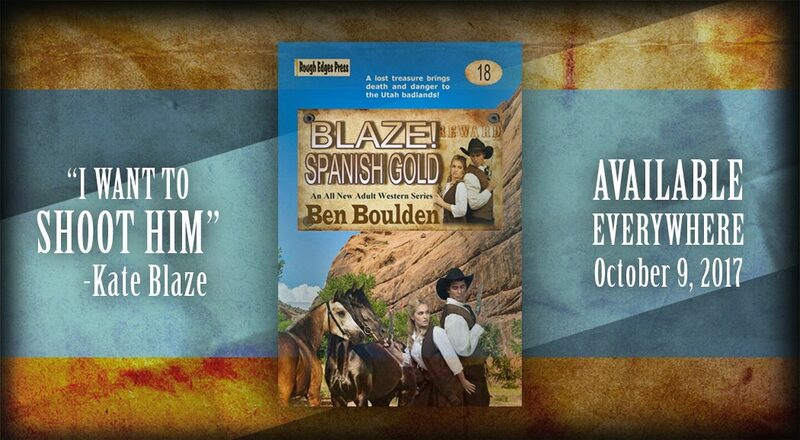 Click Here to visit the Hard Case publicity site. Click Here to read The Guardian's obituary of Mickey Spillane.